The human sense of smell is highly sensitive - a single smell or fragrance can take you back to your childhood home or a winter holiday in the mountains. The tantalizing aroma of baked cookies can make you feel pangs of hunger or a familiar cologne fragrance can remind you of a loved one. The olfactory nerves can provoke feelings of fear, agitation, serenity or arousal. 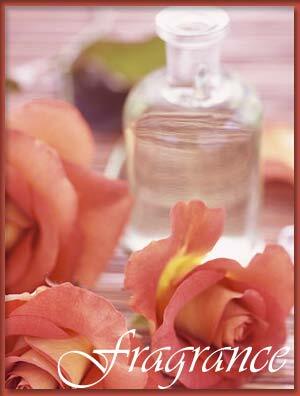 Since time immemorial, people have been using fragrances created from natural products such as flowers and spices. Perfumes, deodorants, talc, soaps and a host of other toiletries are prepared with fragrant oils. Look up the makeup shelves of most women and you can catch various brands of perfumes, eau de toilettes, aromatic oils, deodorants and more. For long, perfumes have been associated with luxury and sensuality. The tantalizing whiff of an oriental perfume or the woody smell of cologne or the floral aura of a designer perfume have never ceased to fire the senses. Fragrances for women usually range from subtle themes like citrus of orange blossoms, spicy mix or flowery smell of roses or jasmines and the like. Typically a perfume holds longer in women with oily skin. The natural moisture content in their skin holds the fragrance for longer. Do not choose a perfume merely because it smells wonderful on someone else. 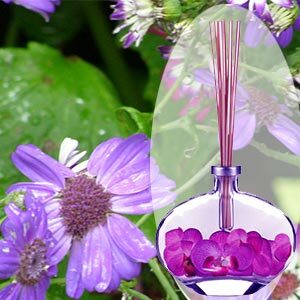 Perfumes are very individual in nature and work a different chemical reaction on different bodies. Dab a couple of drops of perfume on the inside of your wrists, crook of your elbow, behind the knees and behind the ears. These pulse spots are ideal for spraying your favorite perfume or eau de toilette. The environment in which you live can make a difference to the perfume; the heat, humidity levels and sunshine. Less is more when applying perfume. Do not overdo it or you are likely to reek of perfume a mile away and also suffer a headache. Ensure that you store your perfume appropriately. Do not place the bottle in direct sunlight. Spray bottles score over pour bottles as with the latter, air enters the bottle each time you open and this changes the smell over time. Do not use perfumes that have been on your shelves for years. Do not store perfume bottles in very cold or hot and damp places. Avoid any perfume product that causes irritation on your skin. Do not use a combination of many perfume products at the same time. It can be very overpowering and will lead to a confused effect. Avoid cheap brands as they might be detrimental to your skin. Our section on fragrance looks at various aspects of scents - French perfumes, deodorants and soaps. The Fragrance Guide for women carries tips on choosing and using perfumes. We discuss the use of aroma therapy and various products that seek to bring about relief from physical and psychosomatic illnesses. How do these aromatic products affect our body, our nerves and feeling of well-being? What is a 'nose'? What are some popular designer fragrance brands? All this and more ... in our Fragrance Guide for Women. First Published Date: 29 Mar 2006 Last modified Date: April 23 2019 This page may have been updated recently as new information is available or the content may have been edited for better readability.